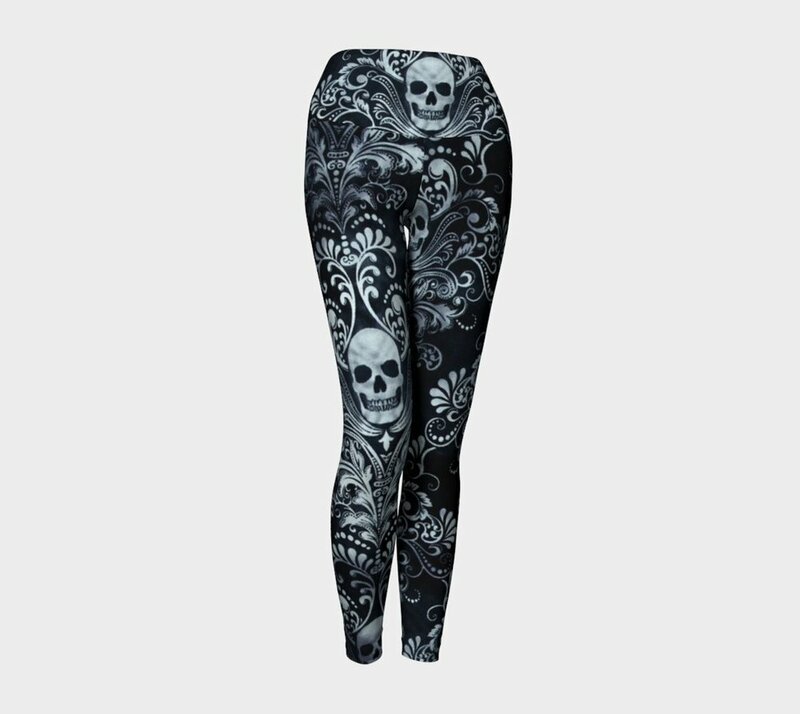 Work off all that Halloween candy in unique style with a pair of Halloween Yoga Leggings by Sunny Daze Design. Made with medium weight and sturdy fabric, these breathable leggings will stretch to fit your body and ensure comfort and protection as you flow from one yoga pose to another. Sunny Daze Design respects and values the environment by using eco-polyester fabrics, which use 70% less water, heat and electricity than other polyester fabrics, and supports the local economy by designing, milling and sewing all their products in Canada. Made in Canada: Designed in Squamish, British Columbia and made in Canada.